Are you getting a whiff of McCarthyism as you witness the degradation of the Trump campaign for the White House? Joseph McCarthy. Photo in the Public Domain. Damaging allegations against hundreds of his “Red” affiliated targets in government, the arts and the media — almost always without evidence or substantiation. Intimidation of suspects and witnesses from his public pulpit. In the end, beyond a few isolated cases, McCarthy and his lieutenants failed to make the case that the federal government was infested with communist sympathizers. Note that the threat of communist infiltration never materialized and the Communist Party never became a major factor in American life. 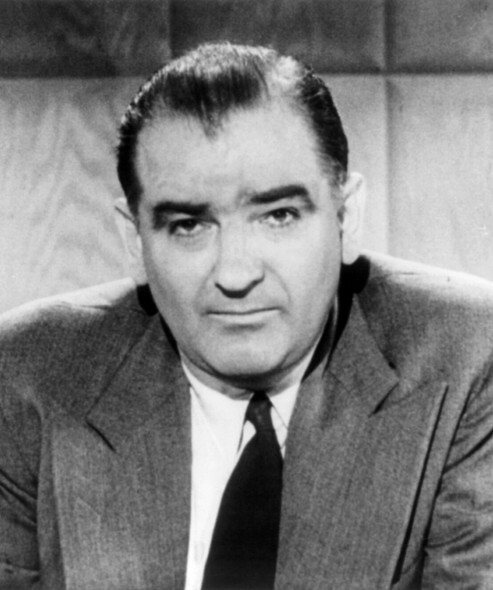 McCarthy never won a conviction for subversion. The Wisconsin senator became an embarrassment to the country and the Republican Party, and the big boys in the party from President Eisenhower on down stepped in and took him down. He was censured in the U.S. Senate in 1954 and his career faded. 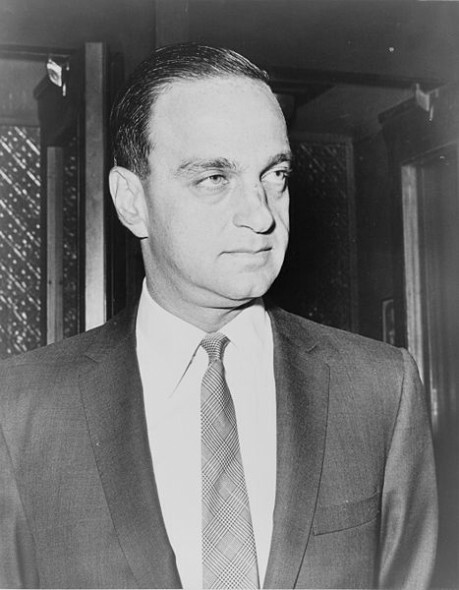 Of interest, McCarthy’s key lieutenant in his witch hunts was Roy Cohn, the infamous New York lawyer and power broker. Cohn encouraged and reveled in McCarthy’s demagoguery, bullying and bombast. The same Roy Cohn later became a major advisor counsel and close friend to Donald Trump for years until his death from AIDS in 1986. Trump was his protégé. It should be no surprise, then, that Trump has used guilt by association when he smeared a judge of Mexican descent. Or that Trump uses insults to attack the character of opponents. Or that Trump would have no hesitation in insinuating, without evidence, that President Obama is soft on Islamic jihadists. This is a president who has used drones to take out jihadist leaders and who pulled the trigger on the elimination of Bin Laden. Like McCarthy, he spreads the fear. He rants that that America is going down, even as the economy steadily gains ground, as American innovation seems to know no bounds, as our military remains by far the world’s strongest and most capable. He opened the door to the profiling of Muslims, casting a shadow on millions of loyal Americans. 75. As laid out above, he fear mongers on alleged American weaknesses and vulnerabilities and uses McCarthyism tactics to smear his opponents. 76. Trump’s disheveled and underpowered campaign organization brings into question his executive and management capabilities. If you can’t run a disciplined, effective campaign, how can you run the country? President Obama, also a rookie politician when he ran for the first time, got to the White House with a well-oiled campaign and fund raising machine. 77. Through cynical questions and comments, Trump has cast aspersions on the faiths of his opponents: Mitt Romney and his Mormon faith; Hillary Clinton and her Methodist faith; Ben Carson and his Seventh-day Adventist beliefs; President Obama’s Christianity. In a land where freedom of religion is foundational, a person’s religion should be largely his or her own business, even when running for office. Trump’s commentary is out of line. 78. Instead of pushing to assimilate the Muslim world, Trump’s loose cannon comments (“I think Islam hates us.”) will alienate the moderate Muslins that we need on our side against the jihadists. As Sen. Lindsey Graham put it well, Islam and Muslims are not our enemies; they are the solution. The 40,000 jihadists (Graham’s number) are our enemies and they need to be killed. We need Muslim help to eliminate them. 79. One of his former chief operating officers, John R. O’Donnell, wrote that Trump’s “attention span was so limited that it is impossible to discuss problems with him in any detail.” Problems that hit the president’s desk are complex. They do not lend themselves to the broad-brush strokes that are Trump’s modus operandi. 80. 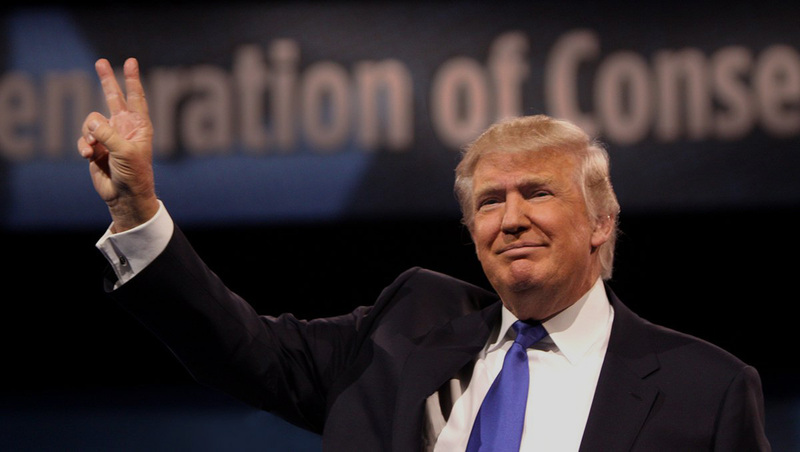 Post winning a majority of GOP delegates for the July convention, he has little effort to unify the Republican Party. Hillary Clinton will be running with a unified Democratic Party behind her; Trump says he can run and win without many of the leaders of GOP behind him. He will be a general without a lot of troops. Refer to my website Johntorinus.com for the previous list of 74 reasons gathered from many sources. And contact me at jbt01@serigraph.com with additional reasons that need to be added to the list. Will it hit 100 before the election? Unfortunately, it seems so. Hillary Clinton’s campaign is funded by Wall Street and governments that cut the heads off of gay people. What does that have to do with Donald Trump, the subject of this piece? Your statement doesn’t make him any less of a sexist, xenophobic, lunatic unfit for a small-town school board. Pace Picante sauce is made in New York city.